There has been talk about the HBO series ‘Deadwood‘ returning to television in the form of a feature film, but nothing has really gotten off the ground over the past few years. That is until now at the 2016 TCA (Television Critic’s Association) conference in Los Angeles, where HBO president Michael Lombardo discussed the series return. Lombardo said the he is fully backing and supporting creator David Milch and his idea and project for a ‘Deadwood‘ film. He said, “He pitched what he thought generally the storyline would be — and knowing David, that could change. But it’s going to happen.” It’s odd that ‘Deadwood‘ was cancelled anyway, only having three short seasons on HBO. When it was cancelled, the fans were fairly outraged, but now it looks like all ‘Deadwood‘ fans should breathe a sigh of relief, because it seems that this is definitely happening. Milch says he still has something to say, regarding the characters and story and would rather do a feature film, rather than a limited comeback series. Hey, it worked well for ‘Entourage‘, didn’t it? I guess we call expect to hear the word “cocksucker” a few dozen more times. 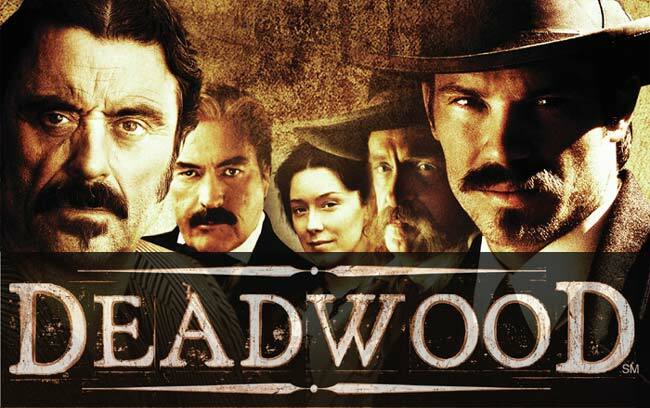 Until then, who wants to binge watch again ‘Deadwood‘ with me? This entry was posted on Friday, January 8th, 2016 at 9:42 am	and is filed under Film, News, Television. You can follow any responses to this entry through the RSS 2.0 feed. You can skip to the end and leave a response. Pinging is currently not allowed. « Emma Stone as Cruella De Vil For Disney Origin Story? Yes Please!!! !